Last day for submission, 9th June 2019. The Selection is planned for 16th June 2019. The next one to be arranged. 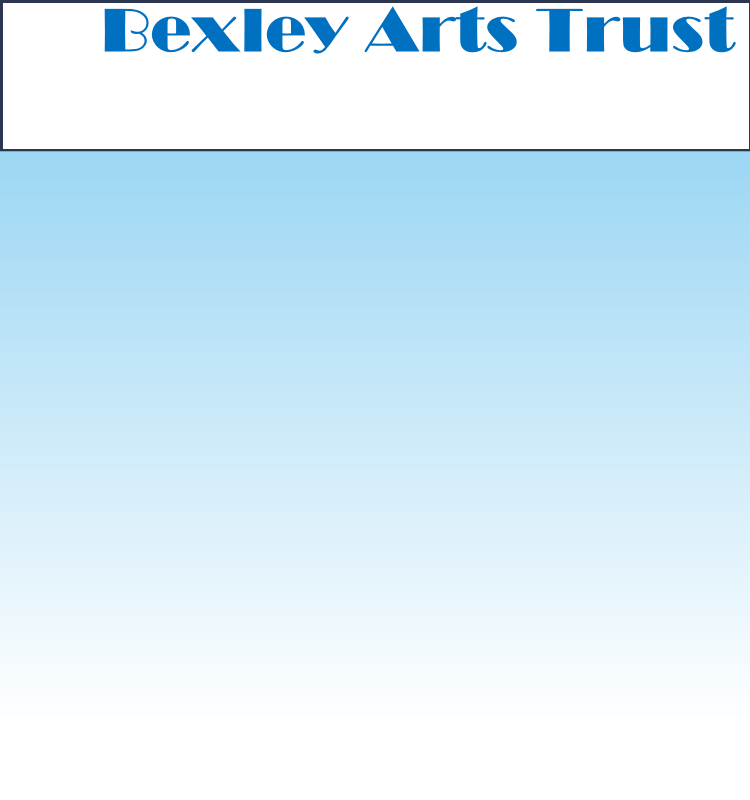 The Mayor of Bexley, Cllr. 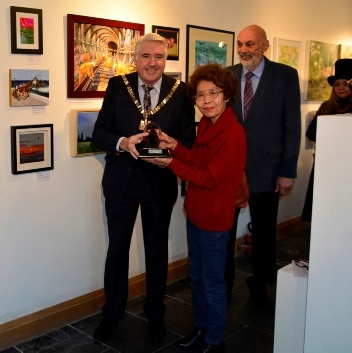 Brian Bishop, presenting the 2D trophy to Naoko Carter for her painting, 'Crossrail, Under Construction'. 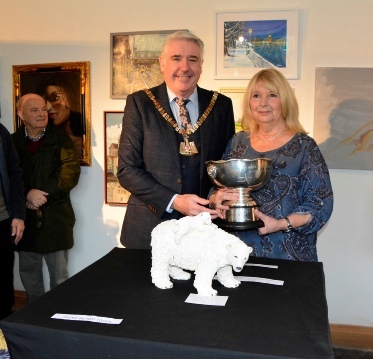 The Mayor of Bexley presenting the 3D award to Christine Coates for her sculpture, '' Going Home'' . The Winter 2019 Open Art Exhibition.